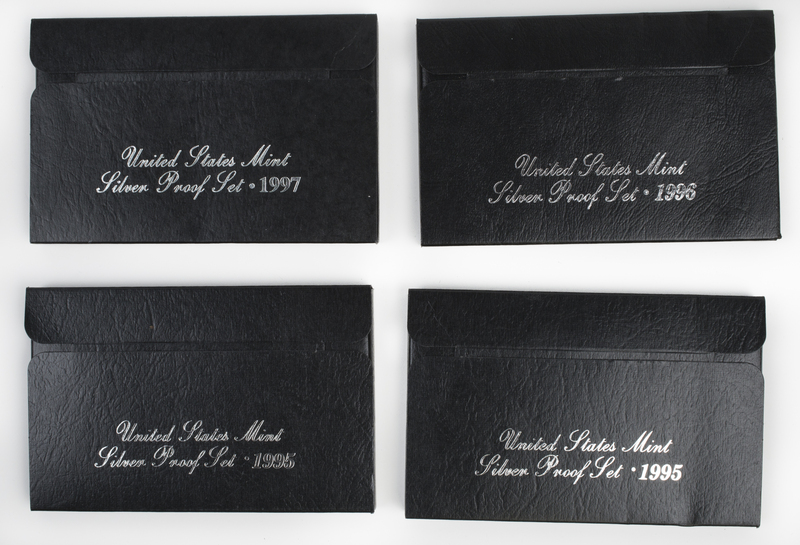 This lot includes 9 US Mint Silver Proof Sets and 1 Premier Silver Proof Set. 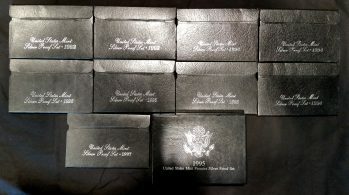 Each set contains a full set of coins from the year it is from including a penny, nickel, dime, quarter, and half-dollar. 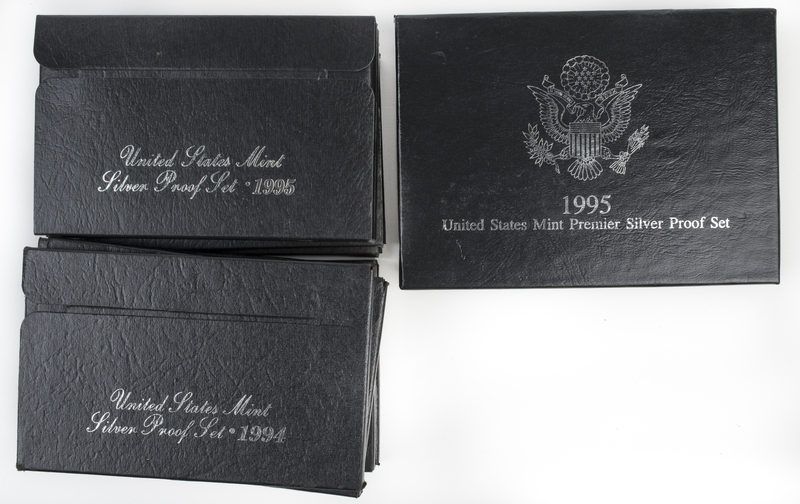 The dime, quarter and half-dollar in each set are 90% silver. 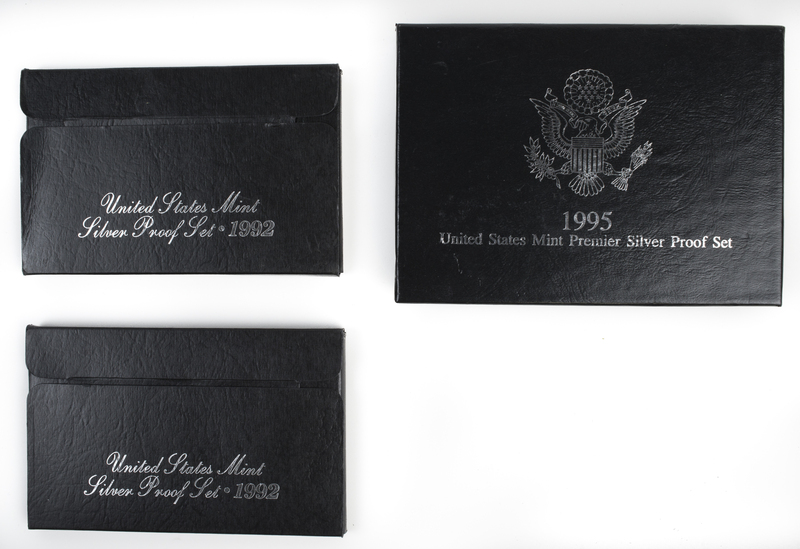 The dime is 2.5g, quarter 6.25g and half-dollar 12.5g, total silver for all 10 sets is 191.25g of silver. 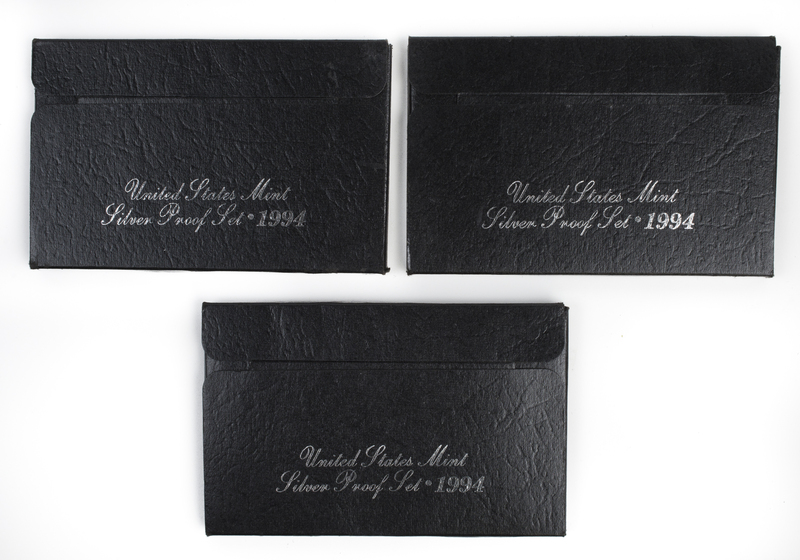 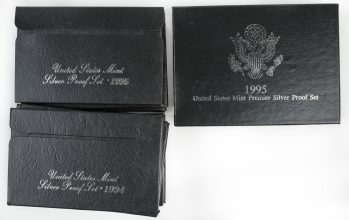 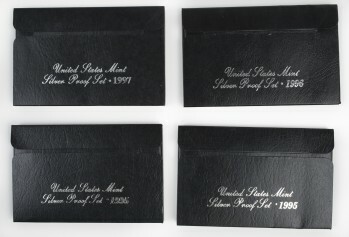 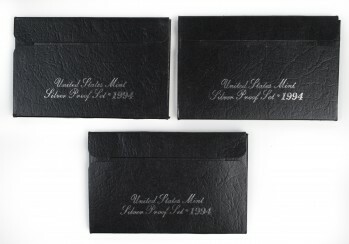 The Silver Proof Sets are for the following years: 1992 (2 sets) 1994 (3 sets) 1995 (2 sets) 1996 1997 There is a Premier Silver Proof Set from 1995 as well. It is the same coins in a fancier holder.